Our goal is to search out and make available the most effective non-invasive and smart pain relief tools. Your personal results are what matter the most to us, and we believe we offer the most effective solutions available for you. You won’t be the first or the last to receive great results using the products from Pain Relief Essentials such as the Rhythm Touch 2-Way for your pain management. Everyone you pass has some sort of pain that is special to them and no one else. The fact is that everyone suffers some sort of unique pain and every time the Rhythm Touch is used, there are results. For over 15 years we have been helping people just like you with your unique pain, unique ailments, and painful conditions rarely heard of. Nearly all of our customers are getting drug and surgery free pain relief and pain management using the Rhythm Touch 2-Way Muscle Massager or the Advanced Foot Energizer. Customers continually report how effective and useful these tools can be! These are the easiest to use electrical muscle stimulators on the market. They are so simple that you turn your machine on, pick the sensation you want to feel, and then turn it to the desired strength – its just plain smart pain relief. At Pain Relief Essentials we provide you with the most comprehensive information on using the Rhythm Touch electrical muscle stimulator for your pain relief as well as other pain relief devices. On this site you’ll find the most comprehensive manual for the Rhythm Touch that we know of, free to download. You may also order the manual and it is included in our featured deluxe package. Full color electrical muscle stimulator placement charts are included in the printed copy. You’ll also find the most comprehensive information on-line about the Rhythm Touch and using it to relieve painful conditions. The results with neuropathy show promise of surpassing anything a doctor or physical therapist has achieved, and the list of conditions below continues to grow! 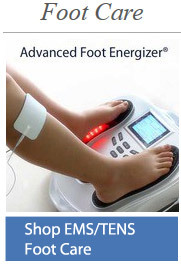 New FDA Cleared foot stimulator / foot massager – Advanced Foot Energizer using TENS and EMS Technology. Do you experience tired or sore feet and legs? At the end of a long day we find that electrical stimulation of the feet helps massage the muscles and increase circulation. This gentle kneading helps to reduce fatigue and increase muscle recovery while reducing pain in the feet. We are happy to announce that we are carrying a line of FDA cleared stimulating foot massagers called the Advanced Foot Energizer. They use a combination of TENS and EMS to block pain and increase muscle conditioning in your feet! Pain Relief Essentials is dedicated to you successfully reducing or eliminating your pain. Every detail needed to enhance your journey towards freedom from pain is available to you here at www.painreliefessentials.com. 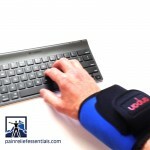 Your relationship with us does not end with your purchase; www.painreliefessentials.com should be on your internet favorite list so you can refer back often. 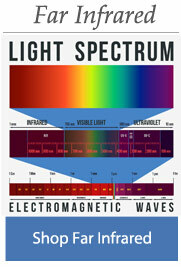 Make note of the many resources available on the site, a downloadable, comprehensive manual, videos, chart and diagrams. Keep in mind that sometimes a condition is so unique that we do not cover it here but very likely can walk you through the best application process, you can email specific questions or even call during normal business hours: toll free 1-888-366-3257. Please read through the resources here on conditions such as Fibromyalgia, Arthritis, Migraine Headaches, Carpal Tunnel Syndrome, Tendonitis, Sports Injuries, Plantar Fasciitis, Repetitive Motion Injuries, Neuropathy, and more. While these resources are not meant to replace medical advice or treatment, they may help direct you to pain relieving solutions. Put us to the test! Use our Rhyhtm Touch, Thermotex, or Advanced Foot Energizer products for up to 30 days from date of purchase, risk-free. If for any reason you are not completely satisfied, return the product for a full refund. Pain Relief Essentials offers you a guarantee that puts all of the risk on us! It’s literally this simple: Order a system today. If you are not completely satisfied with your Rhythm Touch 2-Way, Thermotex infrared pad, or with your Advanced Foot Energizer foot massager and stimulator after continuous therapy as instructed just let us know and we’ll promptly refund every penny of the purchase price. We are so sure that you will love your new foot massager that we are extending our 30 day guarantee to a full 60 days! 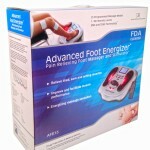 Just order the Advanced Foot Energizer today and use it for 60 days from date of purchase. If you aren’t satisfied with your results send it back to us and we’ll refund your full purchase price. 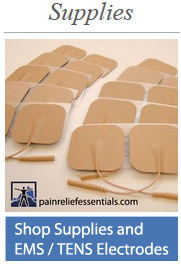 At Pain Relief Essentials we have spent many years using electrical muscle stimulators for pain relief and pan management. During those years we have discovered that lower quality electrodes for TENS and electrodes for electrical muscle stimulators just don’t stack up to quality electrodes. We find that the hot spots in cheaply produced electrodes cause a sharper sensation which we find very uncomfortable. So we purchased and tried electrodes from many manufacturers until we finally found those that could be produced for a fair price and still offer fantastic quality and comfort. We feel that you will really enjoy our EMS and TENS Electrodes. We also have a set of hypoallergenic electrodes available with special blue gel. Read all about our electrodes and their special construction. 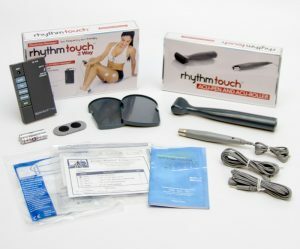 Visit Pain Relief Essentials on Facebook for more on the Rhythm Touch Electrical Muscle Massager.